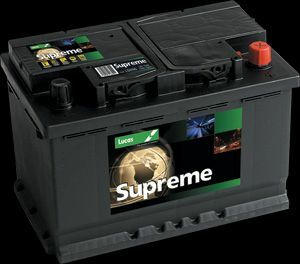 Since taking over responsibility for the Lucas brand in March 2009, Manbat has completely rebuilt its reputation for quality, reliability and value by putting together a range of batteries that deliver the performance the motorist requires, the confidence in the product that the technician is looking for and a profit margin the makes sense for both the factor and the workshop. Now, in its most noticeable move to date, Manbat has made fundamental changes to the existing packaging. Core to the rebranding objective was to make the Lucas name and green colour scheme far more prominent than on the previous design, which only carried a small Lucas logo with a hint of green. The new design however, brings the green that the brand has been historically associated with and the Lucas name to the fore through an attractive design that stands out from the competition and emphasis the brand’s heritage. Along with this new powerful Lucas family image, the redesigned packaging also carries an easy-to-read series of icons that will ensure that factors, workshops and retailers are selecting the correct battery for the task. These descriptive icons always appear on a clearly defined band at the bottom of the label, which also carries the battery model name, from Classic through to Fusion. The icons convey whether the battery is maintenance free, for petrol or diesel vehicles, for vehicles with increase power equipment demands or for Start-Stop vehicles. They also indicate the level of warranty provided with the battery. This formula is also applied to the Lucas commercial vehicle range, but with additional icons to define batteries with maximum power, long distance performance, extreme temperature resistance and frequent starting ability. By combining the maximum amount of information through the simplest possible visual message means that factors, workshops and retailers can clearly identify the battery that suits the purpose and is an easy way to back up the Lucas application guide, which is the ultimate reference tool to ensure that the precise battery required is selected. “Manbat’s overriding concern has always been to help our customers increase their battery business, while also providing them with a level of service that separates us from other battery suppliers,” said Manbat’s marketing manager Myles Pemberton. The Lucas range covers virtually every battery configuration, to cater for every conceivable application. The range starts with Lucas Classic and the specifications progressively increase with the matching OE specification Premium, followed by Supreme, which exceeds OE specification. With the growth in the number of new vehicles that are now available with Start-Stop technology, every self-respecting battery manufacturer offers an AGM replacement, but few can match the quality of the Lucas Fusion. Its AGM technology yields 50% more starting power than the equivalent ‘wet’ battery and with a totally sealed case and its deep cycle capability, the Fusion is a superb AGM battery. For further details, please call Manbat Customer Services on: 01743 218 500 or visit www.manbat.co.uk ENDS. Print article This entry was posted by admin on August 16, 2012 at 2:31 pm, and is filed under Uncategorized. Follow any responses to this post through RSS 2.0. Both comments and pings are currently closed.